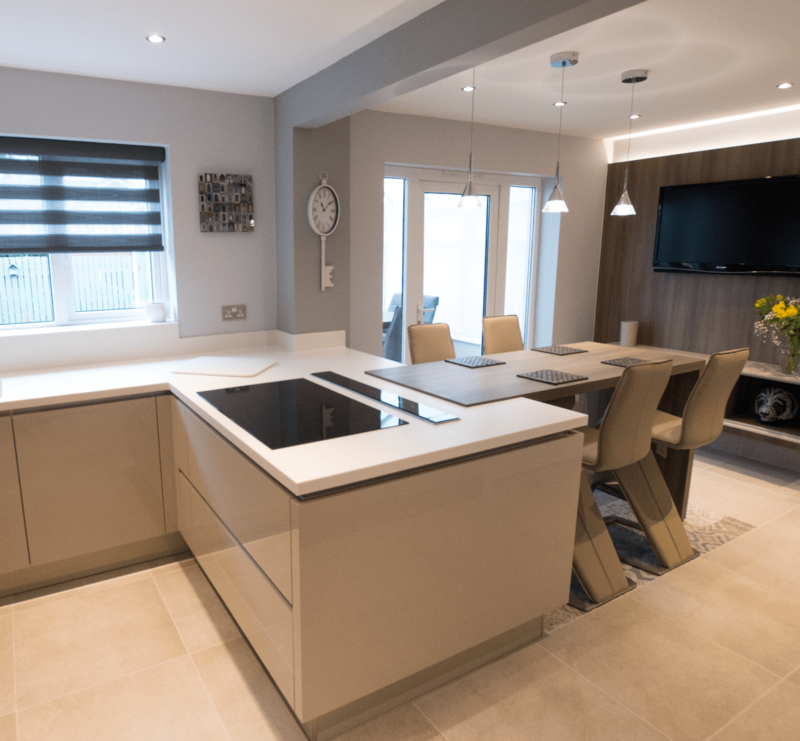 The Meskells from Bolton merged their kitchen and dining rooms into one, creating a space that was perfect for both family life and entertaining. Keen to make the most of their downstairs living space, Mr and Mrs Meskell from Bolton decided it was time to renovate. 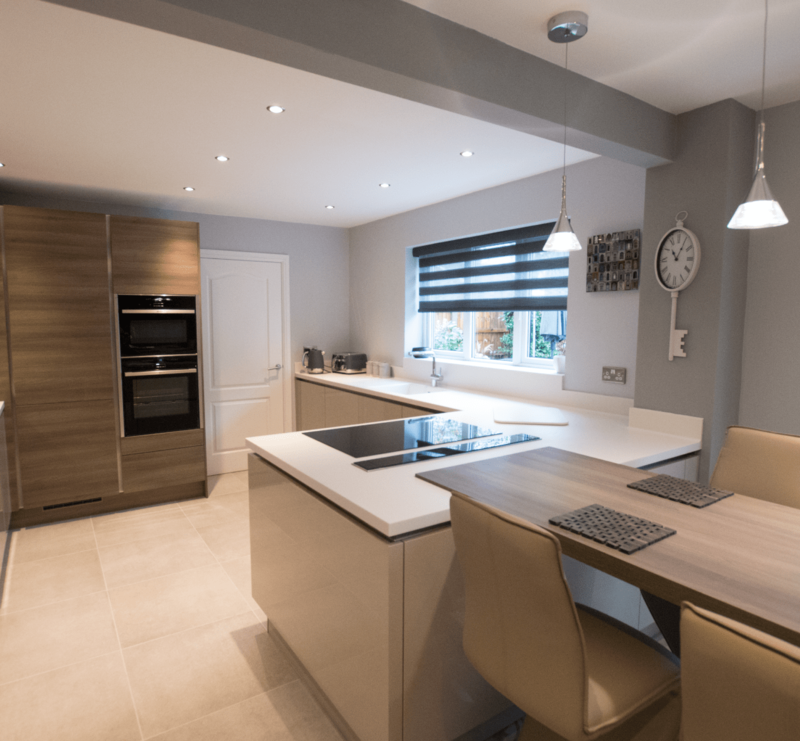 With a largely unutilised dining room, the couple decided to merge the space with their kitchen – creating an open plan room that was sure to wow. “We knew that merging the two would enable us to make a lot better use of the space,” explains Mrs Meskell. 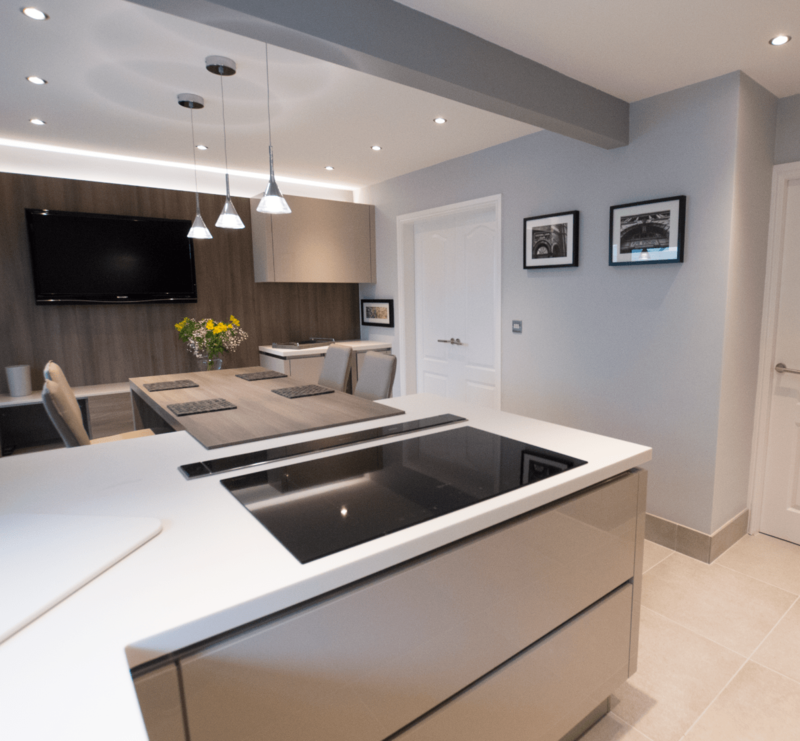 “After we saw some of Kitchen Design Centre’s completed projects, we knew they were the right company to help us achieve our dream kitchen,” she adds. 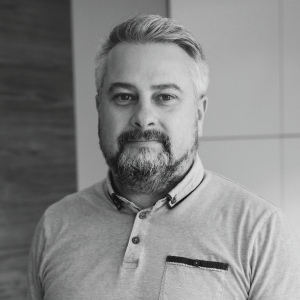 The couple’s designer, Paul Harrington, guided the pair through his ideas for their kitchen – refining their own ideas and adding a few of his own. “We were so happy with everything he presented,” smiles Mrs Meskell. The couple decided on a neutral colour palette in grey and cashmere. 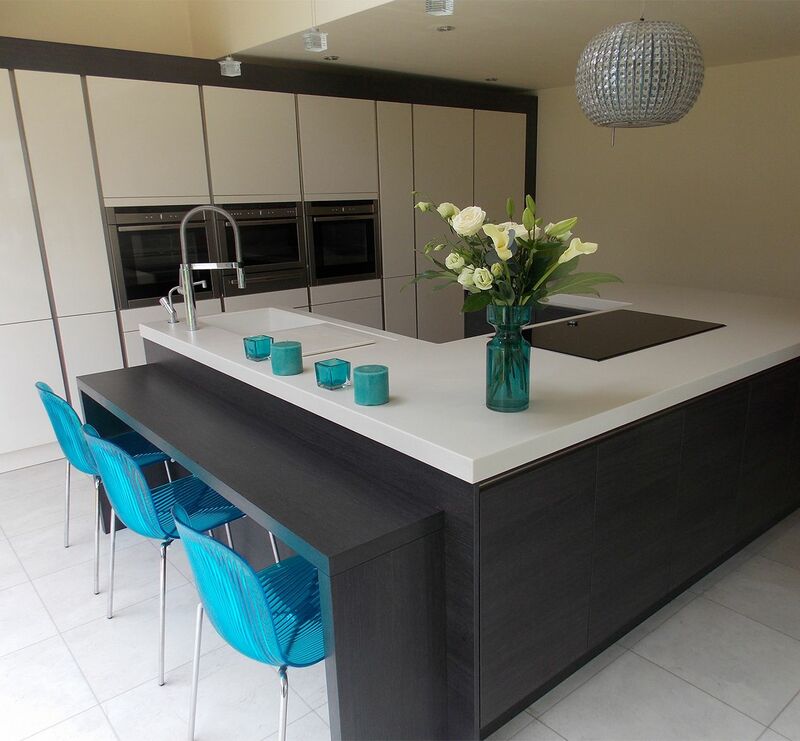 Cameo white Corian worktops were also added to enhance the contemporary design and complemented by a Corian sink. 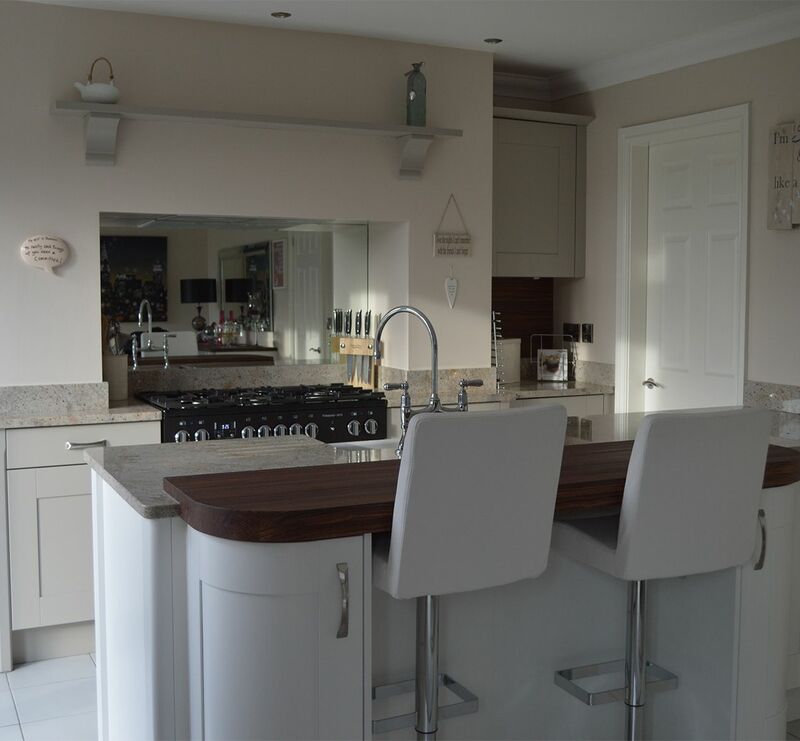 For casual dining, Paul also designed in a stylish grey acacia breakfast bar – ideal for busy mornings and quick meals. 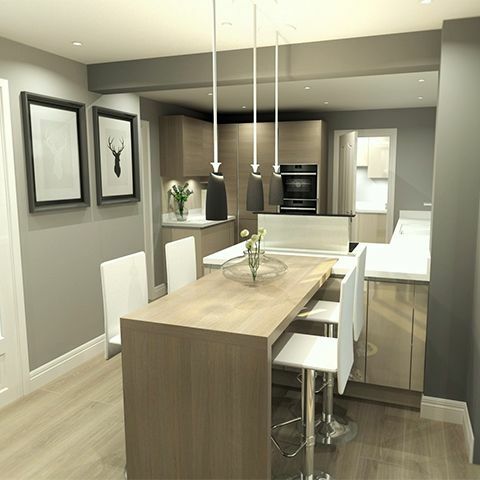 "Our new kitchen has real wow factor. 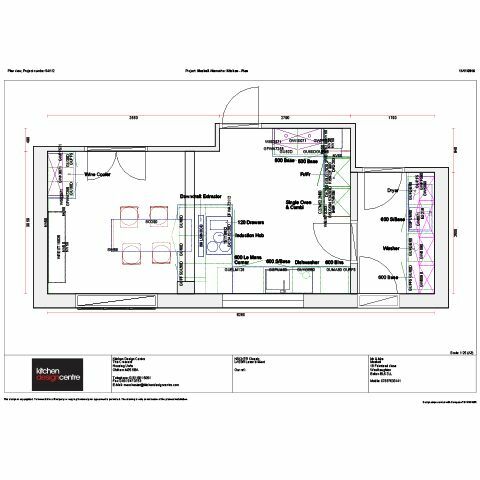 When we first saw Paul’s initial sketches of the design, we didn’t even think it was our kitchen. It looked amazing." 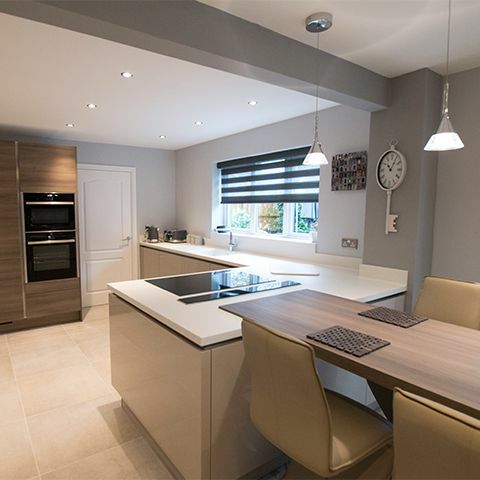 "The modern, open-plan kitchen is perfect for the Meskells. 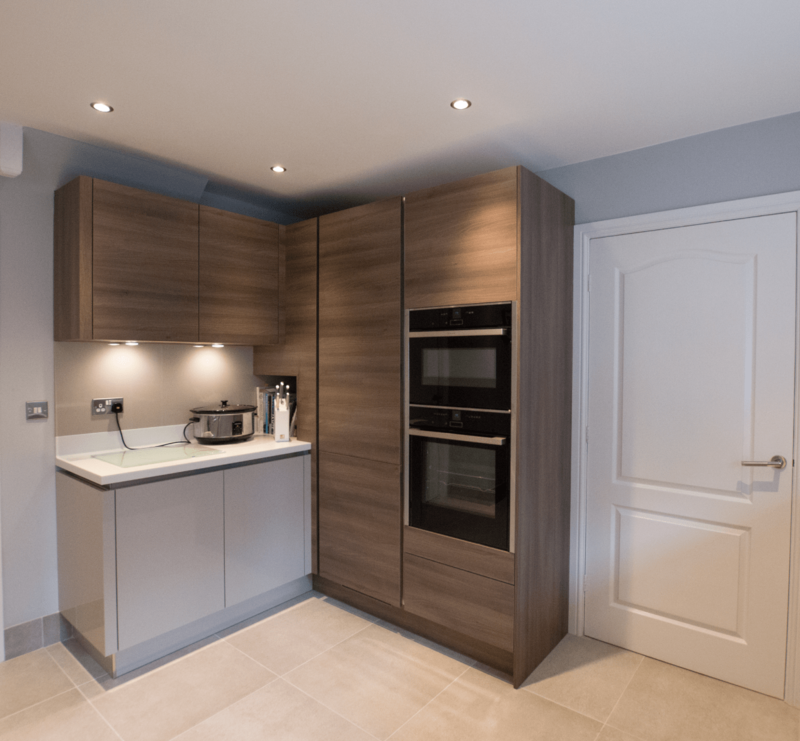 It was a great idea to knock the two spaces into one and helped create a kitchen that flowed and functioned optimally." 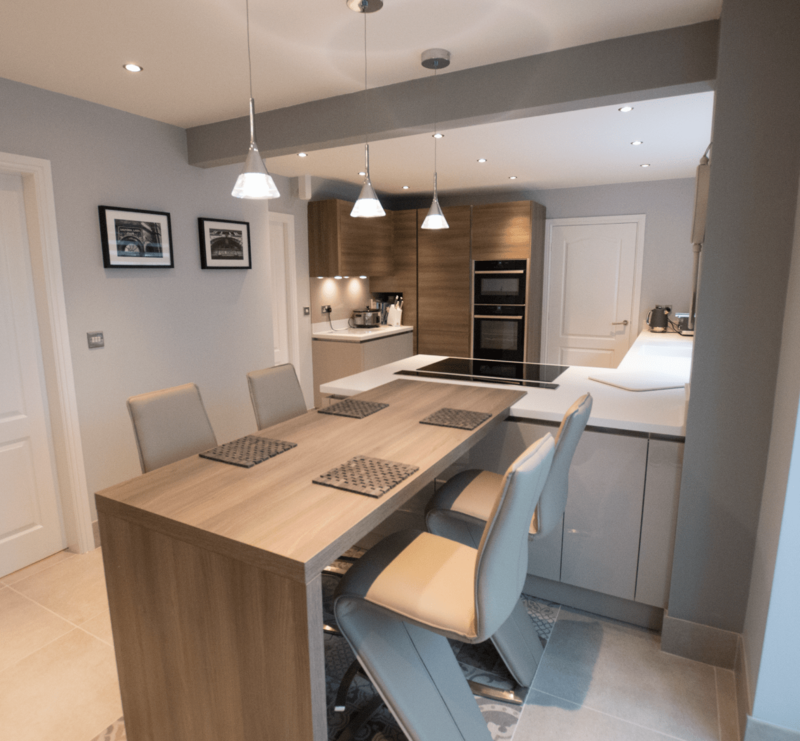 "The family now have a contemporary space, which allows for family dining and socialising. 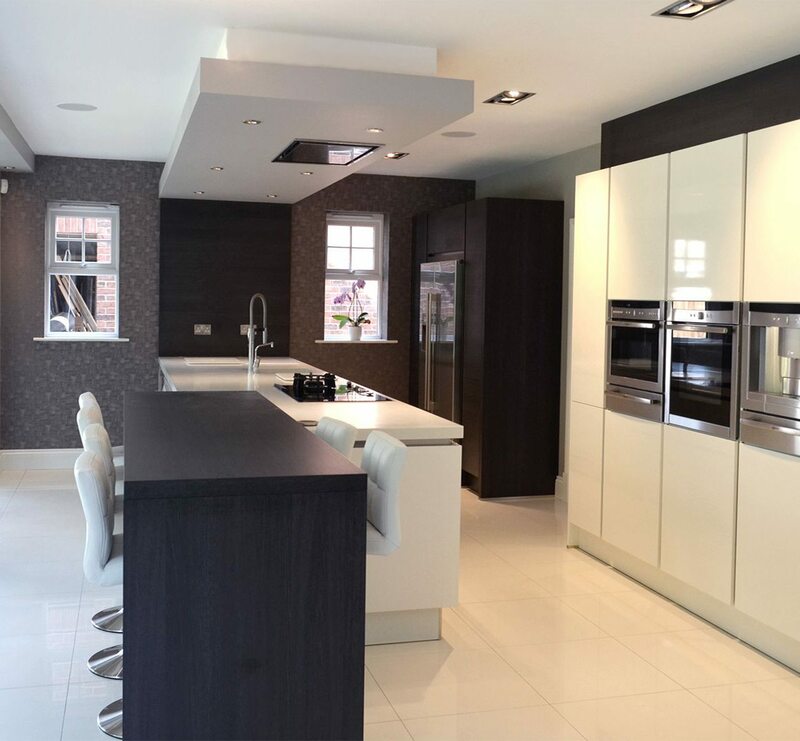 Plus ,there are some fantastic appliances guaranteed to make cooking and entertaining more enjoyable and tasty.